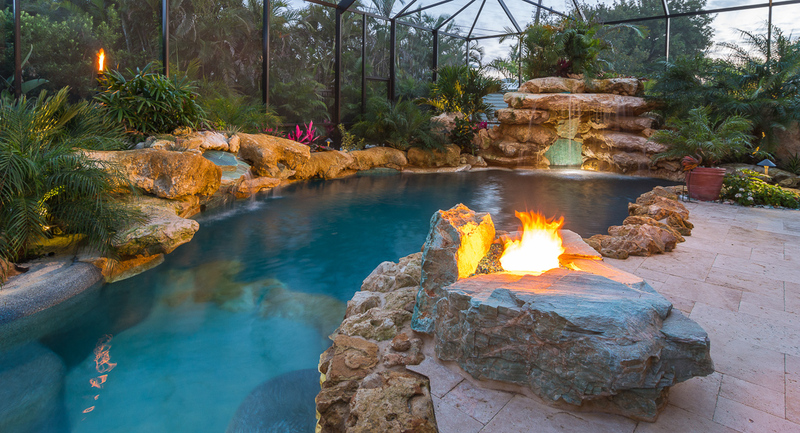 In true Island Style, the Martinez family requested a kid-friendly pool that would also serve as the ultimate stay-cation getaway in their backyard. 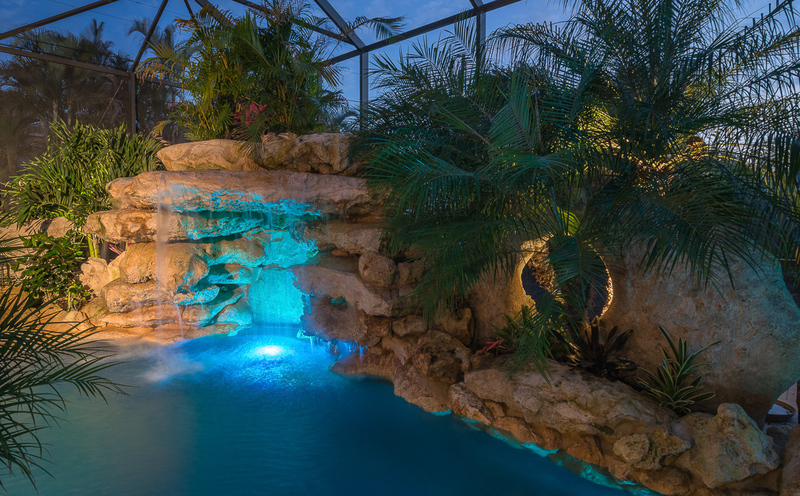 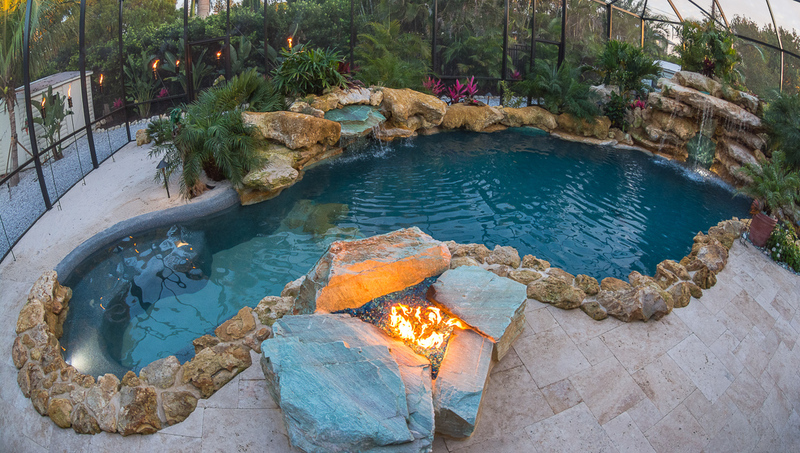 Featured on Episode 6 of Insane Pools, this project came with a few surprises and on the fly design changes. 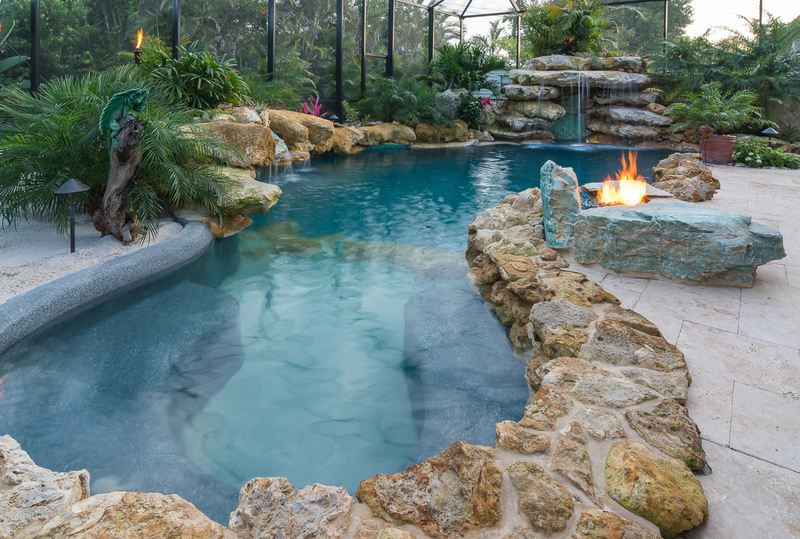 The first was to incorporate 8 ton of turquoise Caribbean stone the Martinez’ had shipped to Florida for their pool! 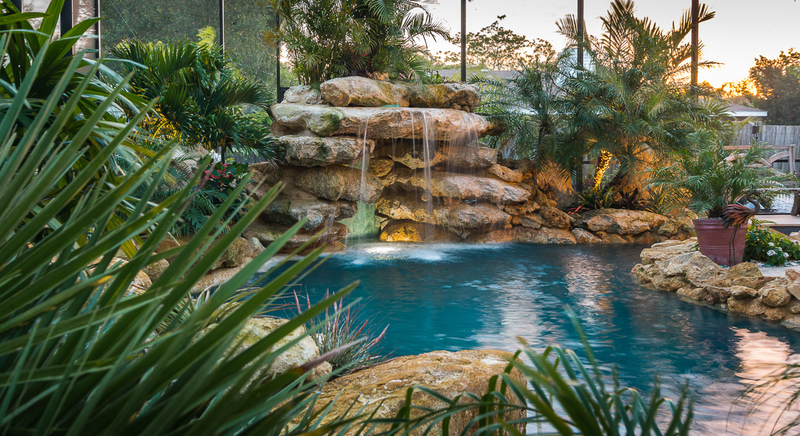 With a huge 60×80′ area to work with the pool uses 72 ton of Florida Limestone and incorporates 150 sq ft of beach area for the grandkids, along with another 100 sq ft of sandy beach bottom in the shallow end. 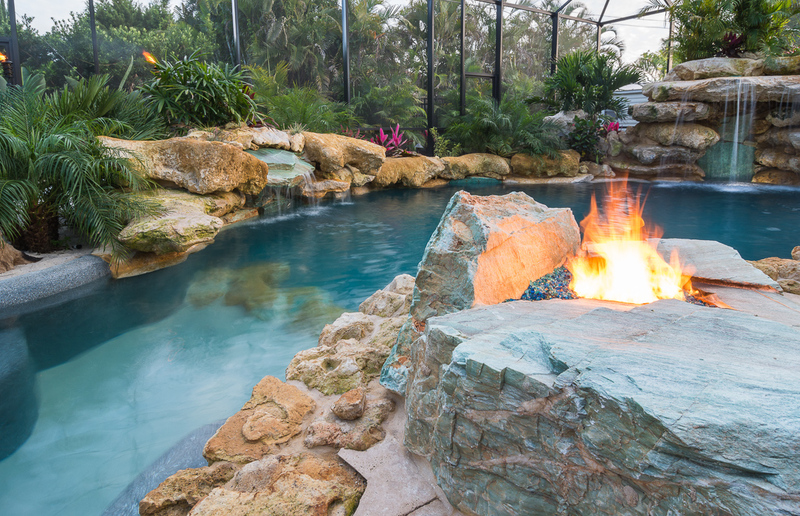 The turquoise stone ended up making the firepit, a 2nd smaller water feature and accents for the back wall of the main grotto. 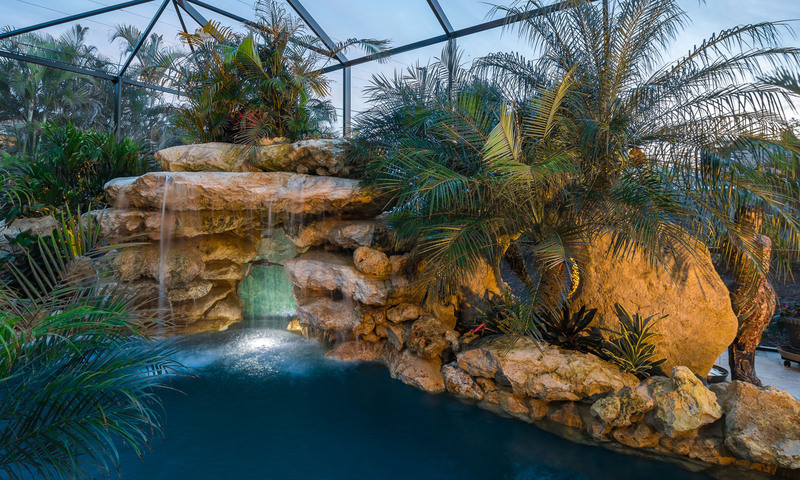 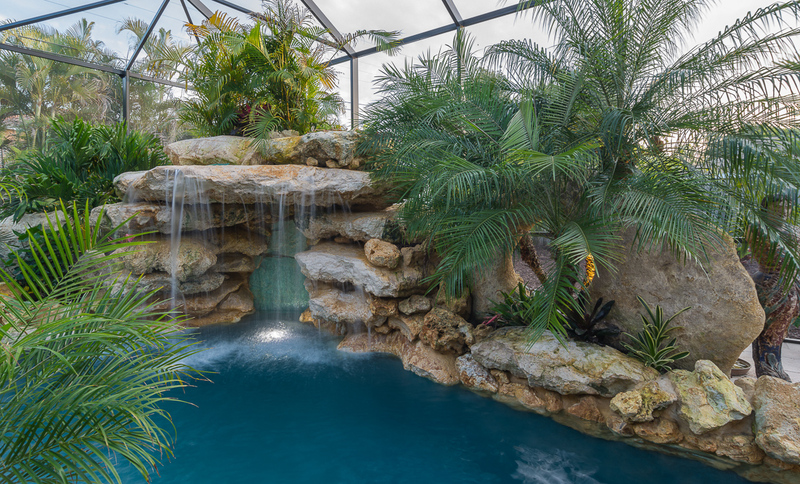 A large limestone boulder with a massive natural hole creates the perfect privacy wall while adding to the tropical feel with a pygmy date palm growing through it. 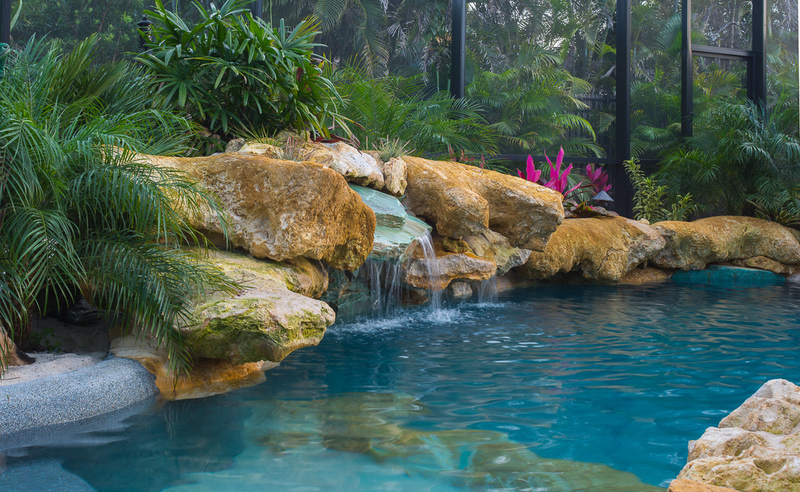 In addition to the pool the entire yard was extensively landscaped with tropical foliage, including adonidias, raphis, areca, cat and euro fan palms along with a hammock between two coconut palms in a special shell covered relaxation area. 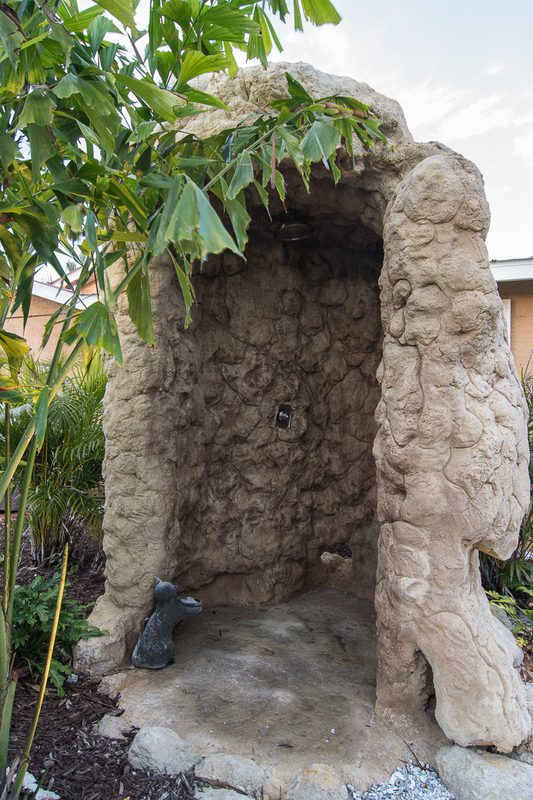 As a surprise for the clients, Lucas added a faux rock outdoor shower that matches the look of the pool.